Listen to "First Man In: Leading from the Front" on your iOS and Android device. No one is born a leader. But through sheer determination and by confronting life's challenges, Ant Middleton has come to know the meaning of true leadership. In First Man In, he shares the core lessons he's learned over the course of his fascinating, exhilarating life. 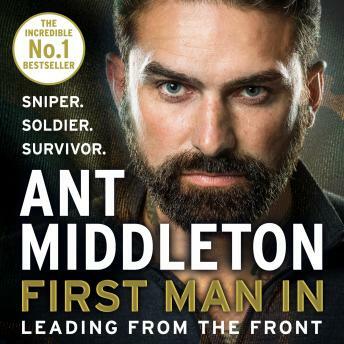 After 13 years service in the military, with 4 years as a Special Boat Service (SBS) sniper, Ant Middleton is the epitome of what it takes to excel. He served in the SBS, the naval wing of the special forces, the Royal Marines and 9 Parachute Squadron Royal, achieving what is known as the 'Holy Trinity' of the UK's Elite Forces. As a point man in the SBS, Ant was always the first man through the door, the first man into the dark, and the first man in harm's way. Some nice insight and solid advice.